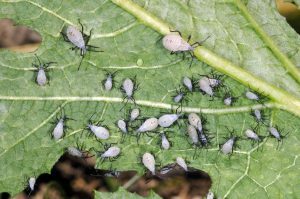 Squash bug is the most consistent insect pest of squash and pumpkins and is the most difficult to control (Figure 1 and 2). The key to management is early detection and control of the nymphs. The adults are extremely difficult to kill. Foliar insecticides should be applied to control the nymphs when you have more than an average of one egg mass per plant. When you find egg masses, mark them with flags and check every day or two to see when they hatch. 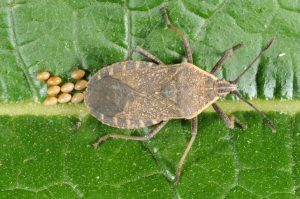 When many of the egg masses are hatching, that is the time to begin application. 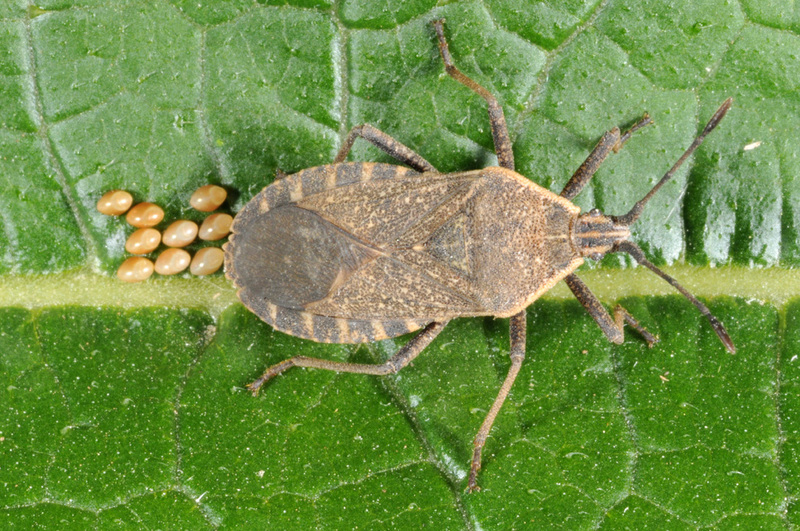 Since eggs are laid and hatch over an extended period of time, several applications may be required. Brigade®, Mustang Max® and Warrior® have provided excellent control.